Despite the warm temperatures we're having this September, the wind has started to pick up and especially the mornings are a bit chilly. Being made of some quite heavy cotton, the Boglioli I'm wearing has been in my closet pretty much the entire summer. With the fall finally starting (I know I've said this just here on my site maybe 45 times now, but seriously how often do we have these sunny +20 days in mid September?) to knock on the door however, I decided it was time for some beige once again. The jacket is from Boglioli, scarf from SuitSupply, shirt from SuitSupply, untipped grenadine tie from Shibumi Berlin, pocket square from Polo Ralph Lauren, belt from Equus Leather, trousers from Paoloni, socks from Bexley and shoes from Meermin. I must say this is one of my favorite pictures of all time. The colors compliment each other quite perfectly here. 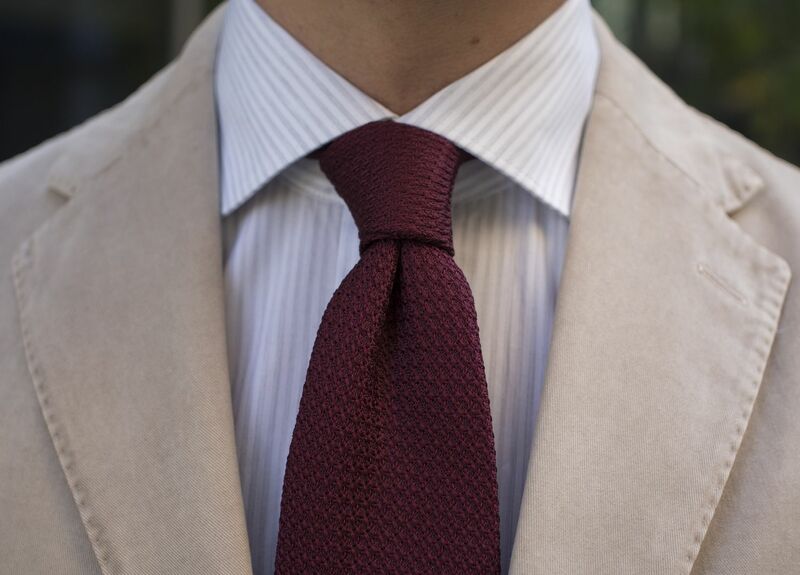 A faint grey stripe like this is great for livening up your outfit without being overpowering, and on top of that is also works with pretty much anything you throw at it. 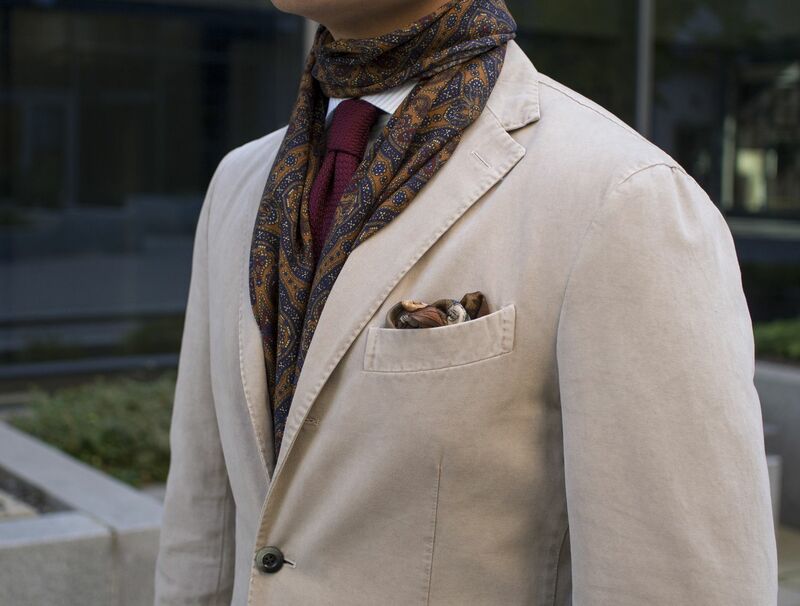 In this case, it adds a nice touch to the look, but doesn't steal the attention from the beautiful Shibumi grenadine tie. 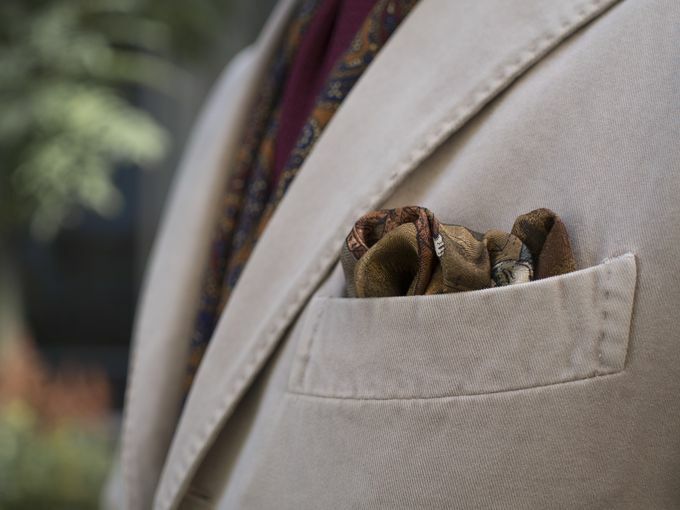 This pocket square deserves to be used to more than I use it. Made for Polo Ralph Lauren in Italy, it has just the most amazing metallic bronze and copper like colors, blended in with the teal, grey and burgundy that make the vintage golfer print (I should write a post just about this one item). 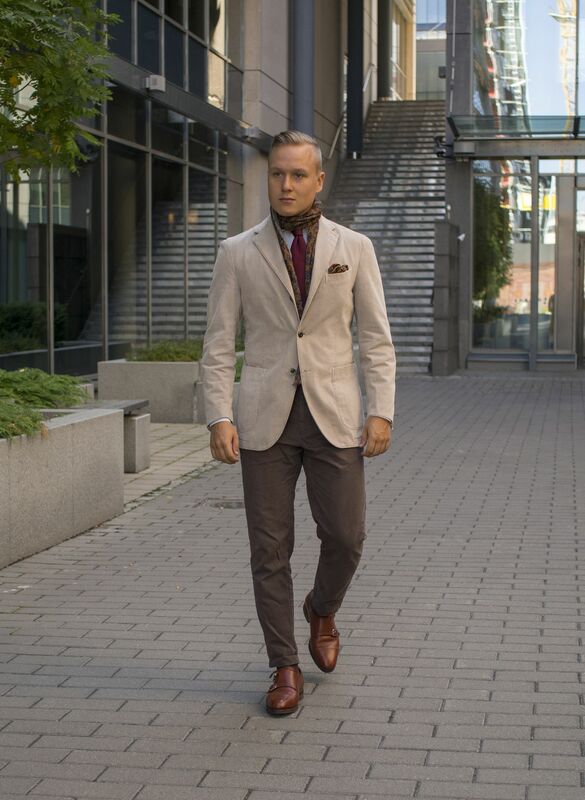 Perfect for a variety of fall and winter outfits.